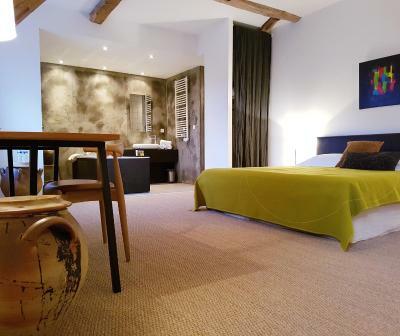 Lock in a great price for Moulin Renaudiots – rated 9.3 by recent guests! This was truly a highlight in our 5 weeks of travel. 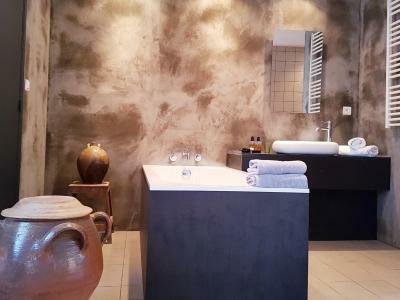 Evelyn & Trevor have created a beautiful atmosphere in & outside, every space had an eye for detail. The pool also being a welcoming space to relax by after a day of exploring the region.The tablehorte- degustation menu was magnificent & Trevor our host is way too modest, as both evenings we chose to dine at the table everyone was unanimous, one of the best meals we had all eaten, including local wines which were also memorable. Produce all came from the local area, mushrooms, gathered from the woods, herbs & flowers from the garden. If you are visiting this Borgone region, I would highly recommend this stay. The moulin is an excellent chambre d'hôtes. 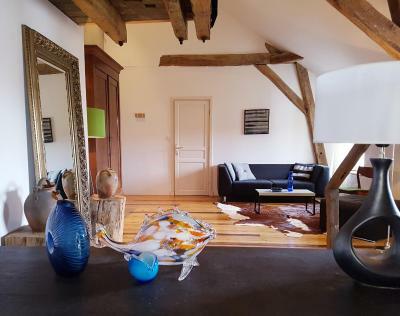 The location is superb near Autun. We travelled from Charleville Mezieres and Sedan for a tour of the battlefields of the first and Second World War. We chose to eat at the Moulin. The meal was excellent and very copious, it was served with wine. Aperitif drinks were extra. 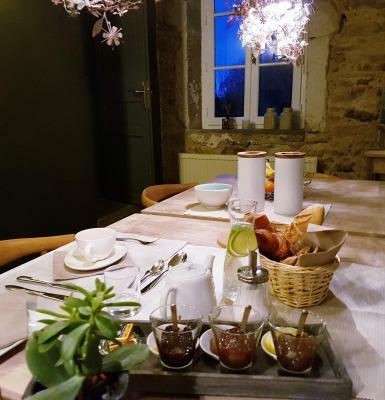 It was not a cheap stop, over two hundred euros for room, dinner and breakfast, however we felt very pampered and welcomed. 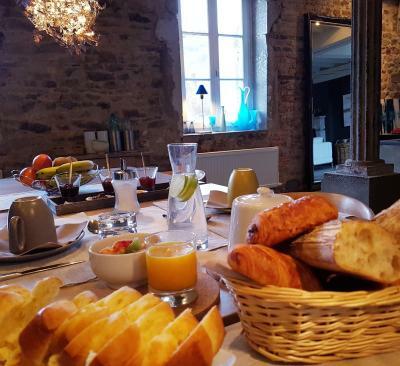 Breakfast was also very good with fresh bread, viennoiseries, charcuterie, cheese, eggs, yogurt and different jams. Fruit salad was also served. Lovely hosts and really excellent food for the Saturday night dinner that we had there. Plenty of parking at the house. 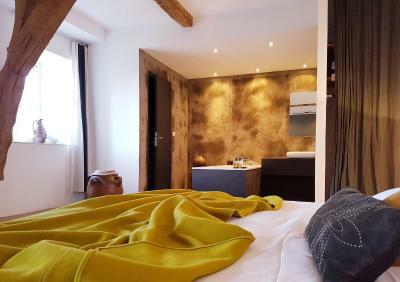 Lots of space in the room, comfortable bed and excellent shower. 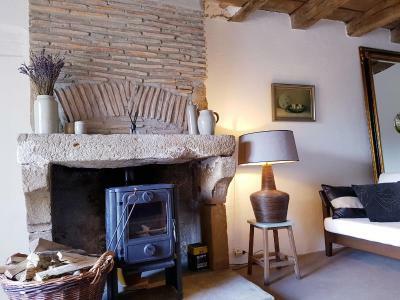 Most charming, authentic and spacious old house in the old town. Nice and quiet garden. Very stylish decoration and most helpful host. Nice french breakfast. One of the most beautiful garden ever seen. 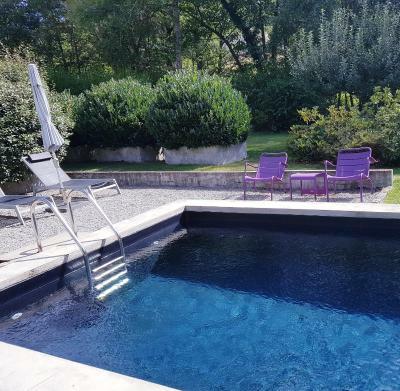 Amazing secluded setting and just 3 km from Autun. Lovely fine dining with hosts and guests. 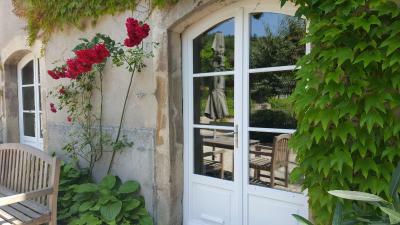 Moulin Renaudiots provides accommodations with a seasonal outdoor swimming pool and free WiFi. 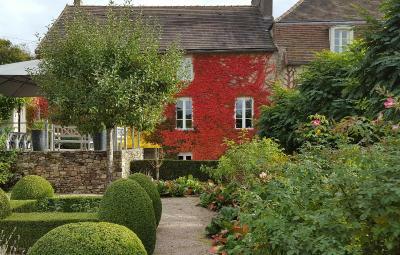 Chalon-sur-Saône is 30 miles from the bed and breakfast, while Meursault is 27 miles from the property. Tavaux Airport is 69 miles away. 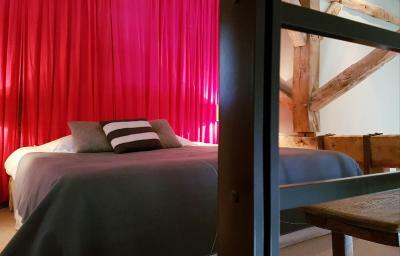 When would you like to stay at Moulin Renaudiots? This double room has a seating area, sofa and view. 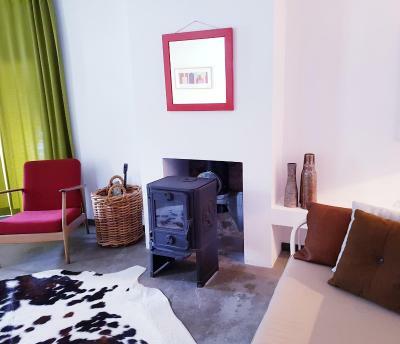 This double room features a seating area, private entrance and fireplace. 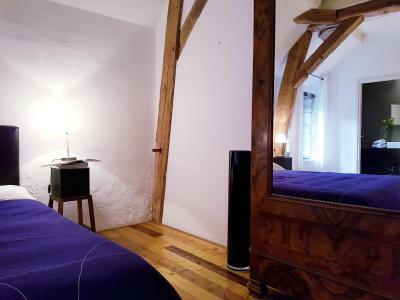 This room can accommodate a pet for an additional charge of EUR 10 per night per pet. This suite has a sofa, fireplace and private entrance. House Rules Moulin Renaudiots takes special requests – add in the next step! Moulin Renaudiots accepts these cards and reserves the right to temporarily hold an amount prior to arrival. 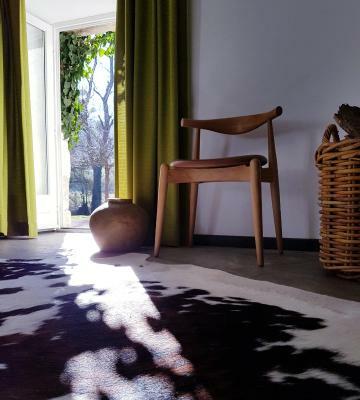 Hospitality, style, location, beauty, warmth. 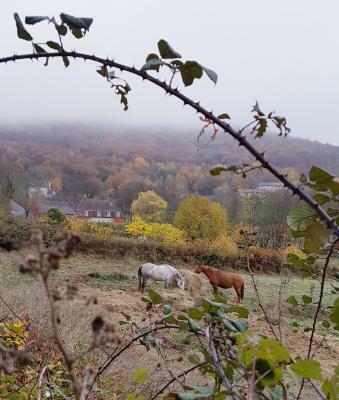 Badly signposted and too far away from town. The hostess was not amused with our early arrival (13:00h), however the rooms were ready so I don't think it was necessary to make us feel bad. 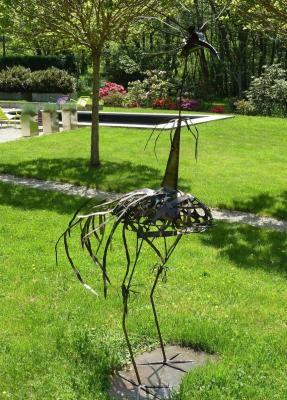 Great design and a wonderful garden. The room was a little chilly on arrival. The breakfast was limited in choice. Nothing. The fact that there is no television in the room surprised us but we did not miss it as we were busy doing other things. Complete rest from the world! 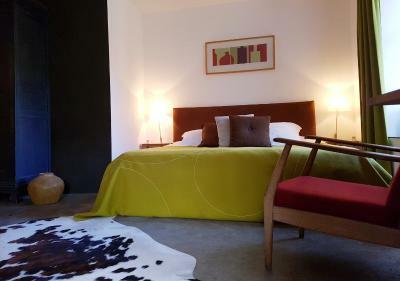 Beautiful classy chambre d'hôtes, black elegant pool, brook meandering through the trees... Butterflies, dragon flies, bees, amazing flowers, 18 th century property but very contemporary arty interior. Straight out of a magazine but relaxing. Very nice hosts, she French he English, a wonderful gourmet cook and an expert on local wines. Our room was very comfortable, the surroundings, including the garden, were amazing and the service was second to none. We were lucky to share dinner with the hosts (table d’hôte) - stunning food, wine and the company was great. The hosts made all their guests feel at ease; we had a memorable dinner and a fabulous two nights at Moulin Renaudiots. The gardens were unbelievably lovely, and the pool an unexpected surprise. Hair dryer wasnt very good. 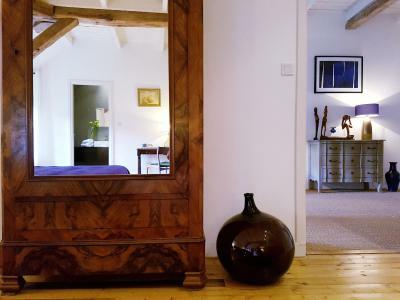 Beautiful house, gorgeous room, comfy bed, tasty breakfast. Most beautiful private garden I've ever seen. Stunning.